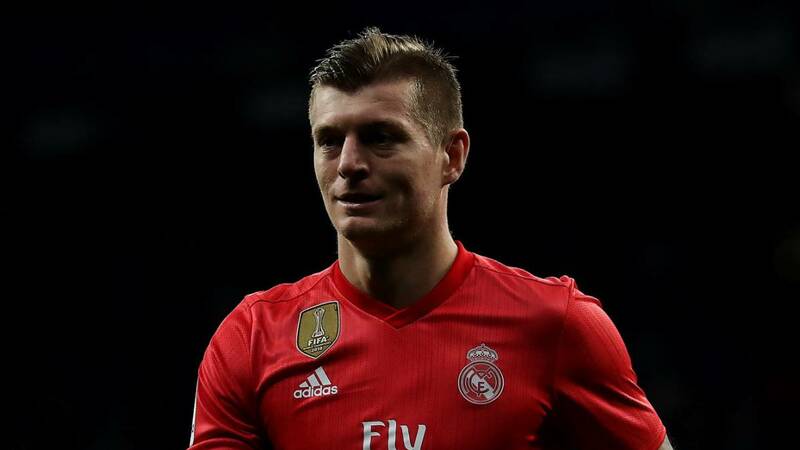 Home Soccer "Pintus had less influence with Lopetegui than with Zidane"
"Pintus had less influence with Lopetegui than with Zidane"
Kroos gave an interview to Die Welt: "We still have two competitions in which we are fully involved, that's our focus." After Real Madrid's victory against Espanyol (2-4), Toni Kroos (29) gave an interview to the German newspaper Die Welt in which he admitted that the team had made mistakes in the first stage of the season, acknowledging that the Liga is complicated but they can still win titles (Copa and Champions) and spoke of the influence of Antonio Pintus on the physical state of the squad. Next, we publish an extract of the interview. For the first time in months, Madrid seems to radiate the conviction that in the end it can be a good season. Did you always have that feeling? Of course we had some problems and we gave away too many points in the league in the first half of the season. That is past. I always knew, and the last few years have simply given me the confidence, that we have a superior team and that we can never stop moving forward. This is true in a fairly good phase like now and also in a bad one. We still have two competitions in which we are fully involved. That is our focus. There was never a reason to get stuck. We still have the chance to win titles. Why does the team suddenly look like another? Every victory gives the whole team confidence, you feel good ... We do not stop working, even when things are not They were like that. Of course we also made many mistakes at this time. As I said, the secret is that you do not make mistakes. While something is possible you have to do everything for it. That's what the last few years have confirmed: last season we were defeated relatively early in the League, so the championship was no longer realistic, and yet that fire has always been with us because we knew we could win something more. And so it was again with the Champions. You can see it now, some players are in a much better shape than maybe in the first part of the season. That's the most important thing. How important has Antonio Pintus been? In a way, he has been there all the time. With Zidane he could have had a slightly greater influence than with Julen Lopetegui, who brought his own physical trainer. However, this happens now more because of the player's form. We have had many injuries in recent weeks, we must not forget that, but neither attributed to the physical trainer or vice versa. So, is the subject overrated? It is important to have someone to take us physically to a good level. But during the season, this is not so easy: you can not do the classic preparation anymore, because there are too many matches. You can only control a little individually and now everything looks pretty good ... But some things are just bad luck. There are teammates like Jesús Vallejo, who is one of the most professional players I see, who does everything, and is still injured.
. Did he get happy when he finished 2018? You can see it like that. It is also true that we had the Club World Cup before Christmas, we fought only five or six days and we played again in the league on January 3. It was not the time to close anything or take stock because we were in full season. But it's true: if you look at the year, it was like the life of a football player: with ups and downs. But that makes it interesting. Well, I'm still having fun and you have to know how to deal with failure, it's part of this. If you can get something out of it, it helps you live with success.